This was my first marathon and it was brilliant, the support from all the marshalls kept me going all the way. Thank you for a great run! What a day! Great atmosphere and I'm over the moon with finishing my first every marathon and raised £1000 for Breast Cancer Now. Many thanks for a brilliant marathon today. Organisation, marshals, spectators, route were all brilliant. Well done. Starting on the Bournemouth Prom and finishing near the BMF Hub in the Lower Gardens, the Junior 5K is for runners aged 11-18. Runners aged 9-12 will run the Junior 2K. The scenic route will start on Bournemouth Prom and finish near the Bournemouth Marathon Festival Hub in the Lower Gardens. The Junior 1.5K is for runners aged 6-8. This beautiful, coastal route will start on Bournemouth Prom and finish near the Bournemouth Marathon Festival Hub in the Lower Gardens. 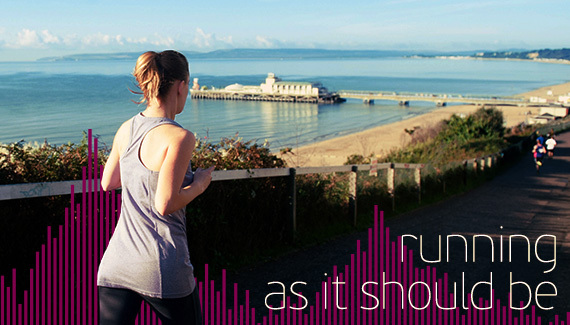 Runners aged 3-6 will run in the Kids’ Kilometre which takes in the iconic Bournemouth Pier. Children taking part in this event must be accompanied by an adult (adults do not need to have an entry). Since the event launched in 2013, a lot has happened at the Bournemouth Marathon Festival! I'd love to hear about the latest Bournemouth Marathon Festival news!